American Precision Glass now offers custom laser marking, an ideal permanent marking solution on glass and ceramic parts, plates, lenses and other components. 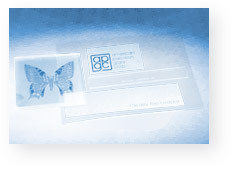 Laser engraving eliminates the need for inks, dyes, glues, chemicals, labels and other often temporary marking methods. Any image can be engraved up to 24” X 18”, on flat and/or tubular surfaces. Some examples include: part numbers, lot numbers, serial numbers, bar codes, component alignment marking, logos, contact information, regulatory marking, OSHA marking, Biohazard marking, private labeling and more. Three dimensional effects and photo duplication are also available. Rapid quotes, highly competitive pricing and next day service are standard; quality is guaranteed.